Two weeks ago, University of Saint Joseph celebrated a votive mass with Cardinal Filoni, for the inauguration of the USJ Ilha Verde Campus. At the beginning of his speech, he commented on why the school would have been named after Saint Joseph. It is because one’s education and tradition are passed down through patrilineal lineage. Jesus was born from his mother, Virgin Mary and it was Joseph, his foster-father who was responsible for his early education. Likewise, I have no doubt that the students would be nurtured by the professors at the university through the spirit of Saint Joseph. However, how can those who do not have a father figure receive education and tradition? By the time I left for Macau, I only had means that would allow me to survive a few days. After repeated unpleasant incidents, I decided to leave my mother and her family. Such incident motivated me to contact my father. He said, “I have given you everything I could and the universe will help you if you follow your heart.” I did not agree with his ideology but I interpreted his “universe” as my God, Jesus Christ. Then I thought that it was time to seek His guidance. After paying a visit to the Ruins of Saint Paul’s, I headed to the Cathedral. Where was I going to sleep and eat when I had no means on hand? But I decided not to worry. I should not worry if I trust that God will protect my journey. Fear only comes when one lacks faith. I surrendered to God’s will and it made me think about what He has already provided me with. I felt gratitude for having two feet that I can walk on my own. I remembered the time when I had to stay in sick bed and I recovered through the grace of the Lord. I received so much grace but it was easier to forget than to remember his miraculous blessings. While praying at the Cathedral, I encountered a lady from the Philippines. She told me that she is due to be let go due to a misunderstanding with her employer. Upon her request, I acted as interpreter between her and her Korean employer, who didn’t speak much English. At last, they were able to reconcile and she was promised to keep her current employment. Helping someone who was also afflicted was just as fulfilling as it was helpful. The thirty-day prayer to Saint Joseph starts with the role of Saint Joseph reflected in the lives of those in despair. 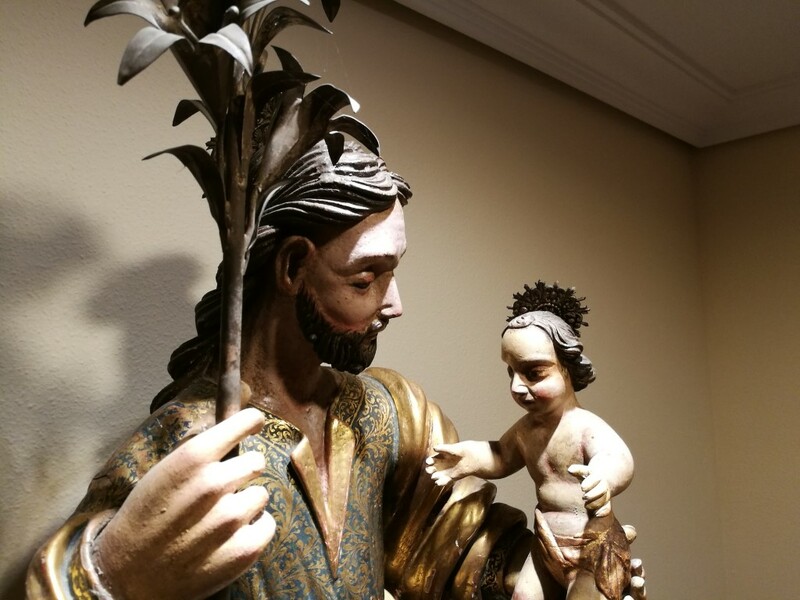 “You are the good father and protector of orphans, the defender of the defenseless, the patron of those in need and sorrow.” I was one of those who needed the protection of Saint Joseph. A few months have passed since I arrived. After I started praying, the building of the University of St Joseph caught my eye one day while I was walking. A school by the name of Saint Joseph? It reminded me of my previous plans to return to Spain and continue studies in church history. Although I prayed for the last two years, that prayer was never answered. A few more weeks have passed and I found out more about the university. A lady then offered me a small room in a friend’s place. She took me to a flat in Rua de S. José, in front of the Church of Saint Joseph. I was so surprised. Then I took it as a sign from the divine. I made my application to the history course at the university. Through the interview, I learned that the program that I signed up for was opening for the first time in the coming September. I came to Macau not knowing such program was offered but it must have been just the right time. By the time I moved to the new place, the lady and her employer asked me what I would like to do from now on. I told them about my motivation to study and they decided to sponsor my studies for the first semester. Although it was only a short time I spent to facilitate their communication, they told me that I have saved them a lot of trouble through my intervention. Despite the worries for the next semester, I decided to take the challenging mission. I trusted that whatever is lacking would be fulfilled if this is God’s will. I continued to pray to Saint Joseph so that my request would be answered. I have been writing about my pilgrimage experience since then. However, both scholarship and publishing opportunities failed. It did not show any signs that would allow me to continue my studies. I wondered if my decision was wrong. What was I missing out? Because the Lord will open the path for those believe in and follow him. With the suggestion of my classmate, I had a courage to discuss my desire to contribute to O Clarim. Then I met the director of O Clarim. Despite my shortcomings, with his guidance, my desire to spread the teachings of the Church have become possible. As the feast day of Saint Joseph was approaching, I started a novena, 9-day prayer to Saint Joseph in request of finding ways to contribute better to the university. Prayer is a powerful tool when no one can provide a clear answer. As I contemplate on this, I witnessed another grace being presented. An invitation to join the Bible class which was due to start on the feast day of Saint Joseph. I took it as a sign that I am on the right track. I hope that the knowledge I gain can be used wisely in proclaiming God’s words to many others in need. The Thirty-Day Prayer to Saint Joseph can be offered at any 30 days of the year for any special intention. Saint Joseph is patron saint for those who are in doubt as well as travellers and those who are looking for accommodation. With the unconditional love and help of many at the university, I am witnessing my prayer to Saint Joseph being answered in many ways. The Lord creates circumstances in which our needs are met. God always reveals his existence in a way that we are able to understand. What humans consider random coincidences are really part of God’s plan for us believers. There are those who are already blessed with loving fathers in their lives, and some others who are not. We may take this feast day to honor our parents and bless them regardless of the situation. 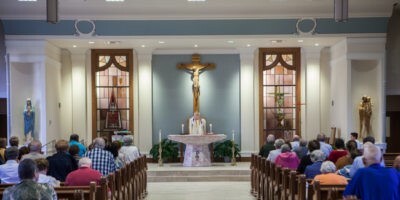 My request to Saint Joseph was simply “Please provide me with a father who would guide me just like you did for Jesus.” God did not send me my real father, but he sent me many other fathers through the Church. It sounds childish for an adult to make such request, but I believed that what God wants for us is to speak from one’s heart. A childlike prayer from the heart is all it takes to receive blessings. Because God loves us unconditionally.